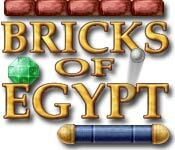 The familiar basics of this brick-breaking game are layered with Egyptian-themed power-ups, bonuses, and special challenges.Beautiful brick-busting Bonanza.This beautiful brick-busting game goes beyond replicating the oft-imitated art of busting bricks; it instead places a refreshing emphasis on imaginative level design. 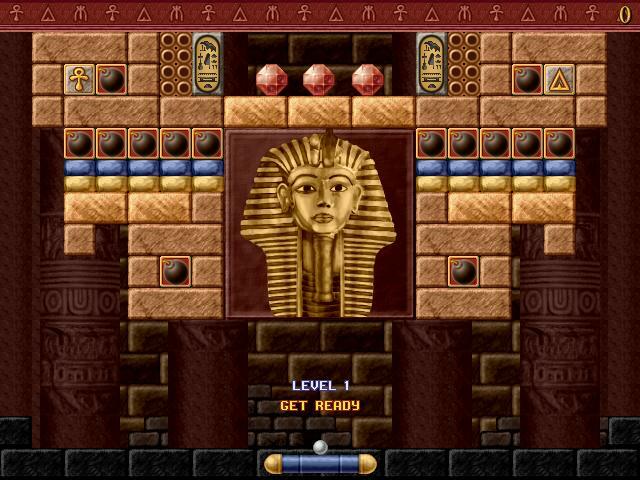 You'll see the classic ball and paddle, but these familiar basics are layered with Egyptian-themed power-ups, bonuses, and special challenges. 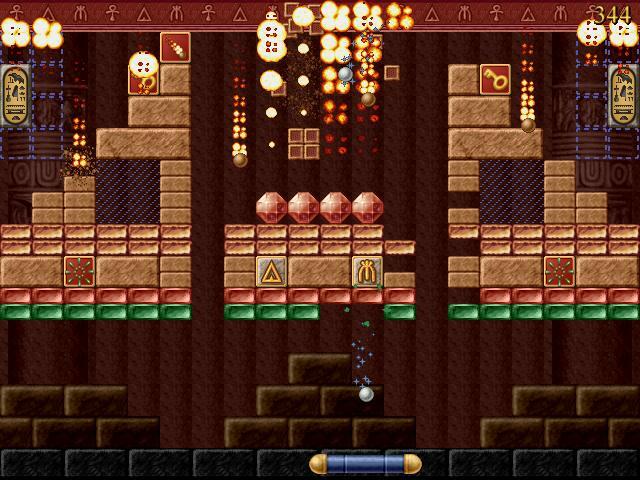 The result is a fabulous, genre-bending experience. This new take on an old favorite is something all ages can enjoy!